We’re staffed to support regional service work and remanufacturing projects from around the world. Pacific Torque has an experienced team of factory-trained technicians available to service all the quality manufacturers we represent. Training is ongoing using state-of-the-art diagnostic and testing equipment required to maintain and repair today’s equipment. 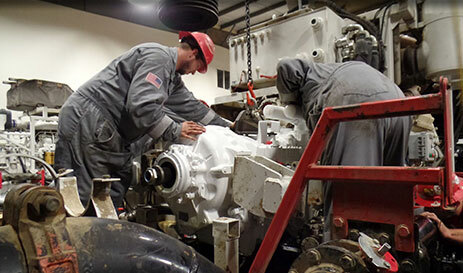 We’re staffed to support regional service work and remanufacturing projects from around the world.